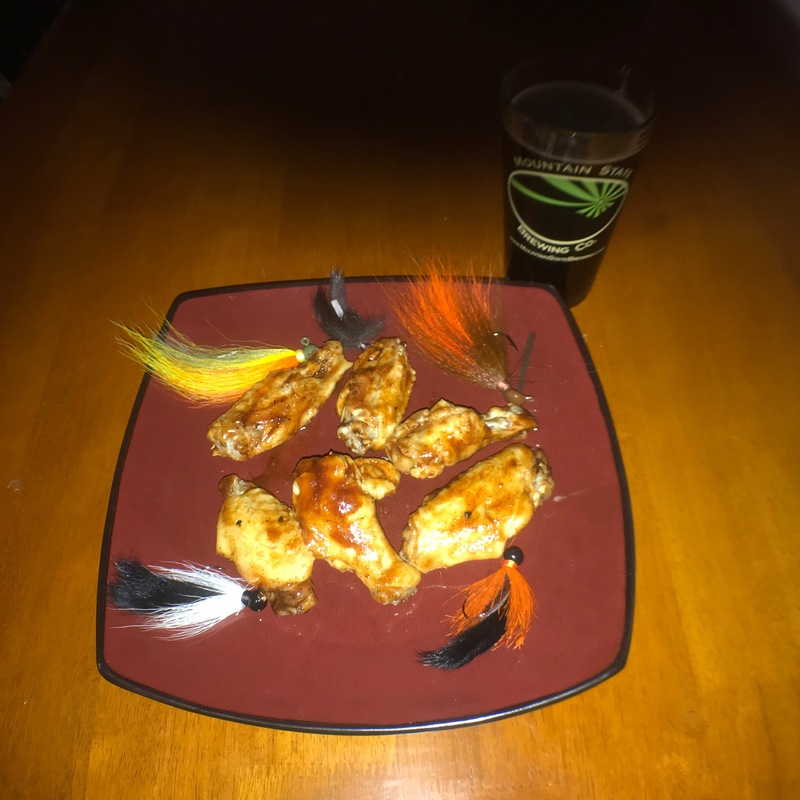 Yes, that is my locally famous honey habanero wings with a Mountain State John Brown Ale! Well, it’s been a while since my last blog…spent twelve days in Hawaii and Los Angeles on vacation enjoying the best of what mother nature has to offer. That being said, it goes without question Hawaii has a little more to offer than Los Angeles…just sayin’. Anyway, I had some time to think while trying not to get seasick, and it occurred to me many of our customers (and proposed customers) have tons of questions regarding our products. Two gentlemen with whom I shared my marlin charter in Kona drilled me with a hundred questions about our jigs, and we had a wonderful discussion concerning the intricacies of jigs in general, and hair jigs specifically. For some reason, these gentlemen were impressed with my explanations, and asked if we had an FYI page on our site…which we do. The next day while standing in the buffet line (I only put on 2 lbs during the cruise!) they provided feedback indicating the FYI was nowhere near adequate enough information as to why they should purchase a HammerHead Jig…and I agree, our FYI page is way too generic. His epiphany led to a lot of deep thought during my kayaking trip that day, and the Wings, Jigs and Beer Video Series was conceived. My plan is to create a series of videos trying to capture the ambiance of sitting down somewhere with a full belly and thirsty mouth explaining the virtues of fishing the HammerHead Jig. I have a feeling this concept will venture out down the road to cover other fishing topics, but for now, we’ll just talk about hair jigs. The first installment will debut on Friday, March 16, 2018 and we’ll review some key concepts concerning jig fishing, with the Finesse Series being the object of discussion. I will post the video on this blog and the HammerHead YouTube channel. I hope you’ll enjoy the first installment, and please be patient as we try to navigate this concept. Please provide feedback, and pass the information along to friends and family who you believe will benefit from the information. I’m going to try to have fun with this, so please don’t expect something too dry…that’s not my style. Place all the ingredients in a blender and blend…it’s that simple. Folks are blown away regarding the simplicity of the recipe because it takes less than 5 minutes to make. Actually, nobody believes me. The three ingredients just seem to blend well together. Thanks for the comment…I went to your site and found it very interesting. I haven’t trapped in over 40 years…isn’t amazing how we get away from things we enjoyed in our youth?